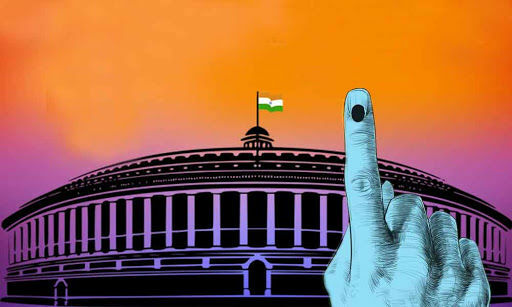 Lok Sabha elections started on April 11, to decide the fate of over a billion people in the world’s largest democracy. The number of voters has gone up significantly, there are almost five times more voters now than in 1952 and this has dramatic consequences; voters are much younger now and it is estimated that there will be 130 million first-time voters compared with 2014. Also, since they are so young, they have no recollection of the freedom struggle. Only what is taught in history books – a most contentious subject. The book states that in the first 25 years after 1952, there was limited scrutiny of a politician by the media as there was only one television channel -- Doordarshan -- but there were newspapers and magazines that kept politicians on their toes. So, media has always played a big role. However, we now have an interesting phenomenon. As I write this, 66 former bureaucrats have written to the President that the ‘Election Commission is being weak kneed’ in seeing that the model code of conduct is not violated. Eminent people, who declare they have no affiliation with any political party – former foreign secretary, Shiv Shankar Menon, Julio Ribeiro (former Indian Police Service officer), Jawhar Sircar, former CEO, Prasar Bharti, and others -- have said there is “misuse, abuse and blatant disregard of the model code”. They ask, why has a NaMo TV been launched with no formal permission from the Ministry of Information and Broadcasting? They state that that the release of the upcoming biopic on Narendra Modi is also incorrect, as is the 10-part web series on Modi’s life, as was Modi’s address to the nation on the anti-satellite missile test and Uttar Pradesh Chief Minister Yogi Adityanath addressing a rally calling the armed forces, ‘Modi ji ki sena’ which goes against the impartial grain of the armed forces. While we are always euphoric about being the largest democracy in the world, and rightly so, the book, replete with tables and statistical data, gives us some startling revelations. Based on years 2002 to 2019 in 64 Assembly elections in big and medium-sized states, the book states that there is almost a fifty-fifty chance that the voter is neither pro- nor anti-incumbency, and this fifty-fifty chance lies in the big and medium-sized states in the Lok Sabha elections as well. So, is the voter wiser and going to rely on his own experience on the ground? However, the chapter on women is most revealing. It states that male vote was most important to the Bharatiya Janata Party-led National Democratic Alliance (NDA). In 2014 elections, had no women voted, the NDA would have had fallen seven seats short of the majority mark. In other words, women have a voice – and a crucial difference to make. Parties are, therefore, giving sops to win over women votes: the BJP’s free gas cylinders to women and Bihar Chief Minister Nitish Kumar gave Rs 2,000 cash for buying a bicycle for a girl in each family. The turnout of women is still the lowest, which is unfortunate, but what is most shocking is the table on ‘Missing Women Voters’ in the book. By referring to the Census 2011, the book states that by 2019, the total population of women above 18 years will be 97.2 % of the total men’s population. But the Election Commission (EC) data for 2019 shows that women voters are only 92.7% of the male voters, indicating a 4.5% shortfall of women voters. When converted to actual numbers, the women who have been denied the right to vote are a staggering 21 million! This is an amazing number and they have been disenfranchised because they have not been registered in the voters' list across the country. “We need to take note of this shame on India and immediately take steps to rectify it before the 2019 Lok Sabha elections,” it says. As the 2019 general elections get underway in India, it would be terribly unfair if 21 million women eligible to vote are disenfranchised. So will the 17th Lok Sabha elections represent the people of India? Not so, if it does not count women. The authors, Roy and Sopariwala, make an appeal that any adult woman who comes to the polling station in the constituency where she resides, should be allowed to vote. With all these appeals both from eminent former bureaucrats and the data revelations, one awaits the EC’s responses with eagerness. If ‘Satyameva Jayate’ (truth will be victorious) is to abide in message and substance, then India must rise above the machinations of politicians and the voter -- she and he -- must reign supreme. For, is that not what democracy is about and was that not the vision of our founding mother and fathers? The writer is an award-winning author and film-director. The views are personal.